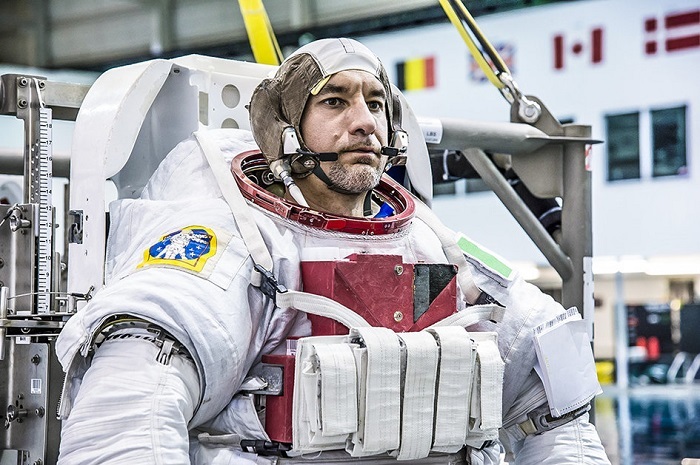 In this picture, ESA astronaut Luca Parmitano is seen preparing for a simulated spacewalk and is wearing a training version of his Extravehicular Mobility Unit spacesuit. He is about to be submerged in the waters of the Neutral Buoyancy Laboratory near NASA’s Johnson Space Center in Houston, Texas. 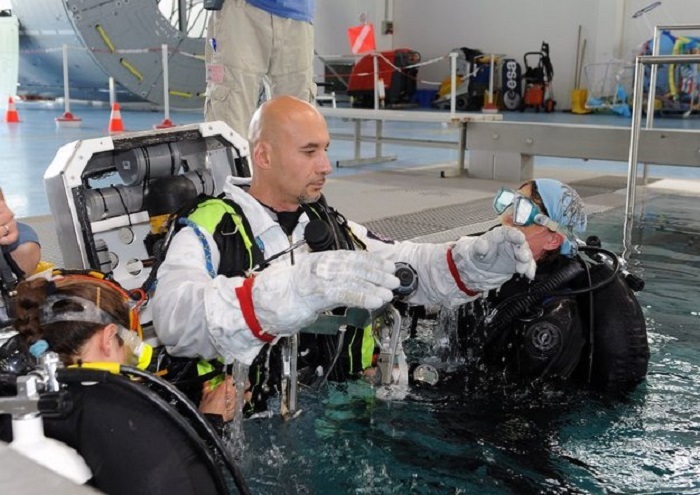 Divers in the water will assist Luca and fellow spacewalker, NASA astronaut Chris Cassidy, in their rehearsal, which is intended to help prepare them for work on the outside of the International Space Station. 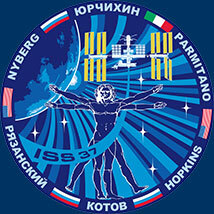 Luca will perform two spacewalks during his Volare mission, which starts May on the International Space Station. As Expedition 36/37 flight engineer, Luca will conduct planned maintenance tasks, replace a camera mounted on Japan’s Kibo module and retrieve science payloads. One of his spacewalks will also prepare for the arrival of the Russia’sn Multipurpose Laboratory Module (MLM). 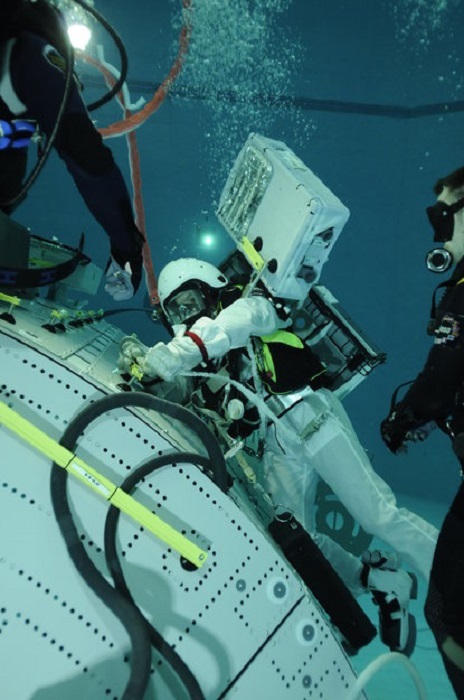 ESA astronaut Luca Parmitano during spacewalk training in ESA's Neutral Buoyancy Facility at the European Astronaut Centre in Cologne, Germany. 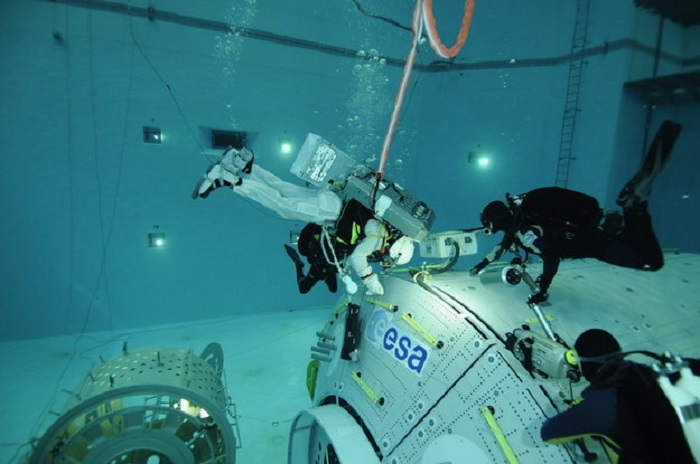 ESA astronaut Luca Parmitano, from Italy, during EVA training at ESA's Neutral Buoyancy Facility at the European Astronaut Centre, in Cologne, Germany, 2 September 2010. This course teaches ESA astronauts basic Extravehicular Activity (EVA, or 'spacewalk') concepts and skills, such as tethering to the International Space Station, the use of special EVA tools, communicating with an EVA crewmate and with the control room and how to keep full situational awareness in a complex and challenging environment. Parmitano graduated from the Liceo Scientifico Statale `Galileo Galilei´ in Catania, Italy, in 1995. In 1999, he completed a bachelor's degree in political sciences at the University of Naples Federico II, Italy, with a thesis on international law. In 2000, he graduated from the Italian Air Force Academy, in Pozzuoli, Italy. Parmitano completed basic training with the U.S. Air Force at the Euro-Nato Joint Jet Pilot Training in Sheppard Air Force Base, Texas, US, in 2001. He completed the JCO/CAS course with the USAFE in Sembach, Germany, in 2002. In 2003, he qualified as Electronic Warfare Officer at the ReSTOGE in Pratica di Mare, Italy. He completed the Tactical Leadership Programme in Florennes, Belgium, in 2005. In July 2009, Parmitano completed a master’s degree in experimental flight test engineering at the Institute Superieure de l’Aeronautique et de l’Espace, in Toulouse, France. Awarded a Silver Medal to the Aeronautical Valour by the President of the Italian Republic in 2007. Following completion of undergraduate pilot training in 2001, Parmitano flew the AM-X aircraft with the 13th Group, 32nd Wing in Amendola, Italy, from 2001 to 2007. During that time, he obtained all the qualifications on the aircraft, including Combat Ready, Four Ship Leader, Mission Commander/Package Leader. Within the 13th Group he served as Chief of Training Section and Commander of the 76th Squadron. He was also the 32nd Wing Electronic Warfare Officer. In 2007, he was selected by the Italian Air Force to become a test pilot. He trained as an Experimental Test Pilot at EPNER, the French test pilot school in Istres. Parmitano is a major in the Italian Air Force. He has logged more than 2000 hours flying time, is qualified on more than 20 types of military airplanes and helicopters, and has flown over 40 types of aircraft. 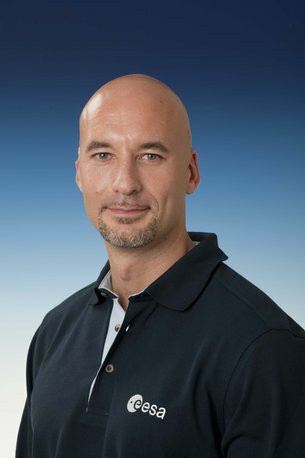 Parmitano was selected as an ESA astronaut in May 2009. In February 2011, Parmitano was assigned as a flight engineer to a long duration mission to the International Space Station which is planned for 2013.